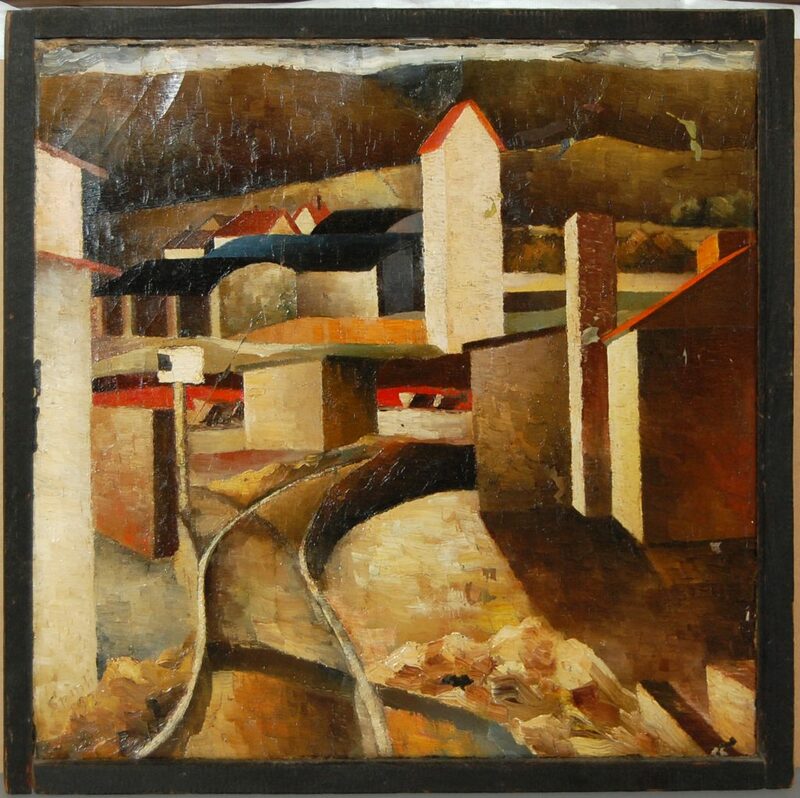 Erich Spinti (German, 1909-1942/43), „Industrial landscape“, 1936, oil colour on canvas, 50 cm x 49 cm. Erich Spinti was a resident of Hildesheim. In 1942 or 43, he was reported to be killed in action „in the east“, most likely in Russia.